I had a MBA admissions client recently who I’ll call Tim, and when Tim and I got talking about his admissions profile he told me he’d scored 720 on the GMAT, and then retaken the test (and scored the same again). I nearly dropped the phone. “Why would anyone ever want to retake a 720 GMAT?” I gasped. The truth is, I know why. Candidates think the higher they score, the better their chances of admission. It seems obvious but is it right? Yes, of course the GMAT is crucial. 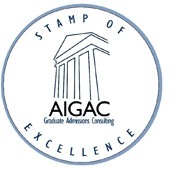 It tells Adcom about an applicant’s intellectual and cognitive skills, and is particularly useful in allowing easy comparison across institutions and undergraduate majors, and to some extent across cultures. 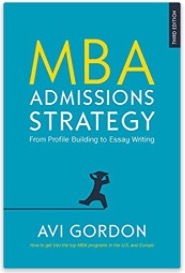 Furthermore, every 10-point gain adds to candidates’ admissions prospects, and a move of 30 or so fundamentally changes which b-schools they can legitimately hope to get into. All true. But this is true only up to a certain level, about the 700-750 range. A higher score has diminishing returns and can even — believe it or not — harm one’s chances. Why? As I told Tim, there are two reasons. First, although the MBA is a post-graduate university degree, it is primarily professional education. Its fundamental task is to prepare and place people in business management positions, not academic positions. Managers need to be smart but, as everyone knows, the cleverest people don’t necessarily make the best managers, nor best entrepreneurs, or bankers, or consultants. Jack Welch, Herb Kelleher, George Soros, Ted Turner, etc., are smart enough. But they are not Einsteins. MBA Adcoms are not looking for brainiacs. This explains why an ultra-high GMAT can be harmful. Scoring in the super bracket (750+) means that you are, by definition, in the 99th percentile. People who score like that are often better pure scientists or philosophers, than managers. It’s a stereotype, and perhaps a poor one, but the absent-minded professor is commonly associated with being a poor people-person and a poor manager. If you get a very high score, Adcom will be absolutely sure to thoroughly check and almost disbelieve that you are also a leader and team player and can manage adversity and do all the practical things you need to get done in a business day. Maybe you can and do. But an extra burden of proof falls on you in this regard if you are in the GMAT super-bracket. The second, related, problem is it takes a mix of talents to get admitted to a competitive school. The operative term here is “mix”. Academic ability is just one of many items considered, along with career potential, leadership potential, team player profile, work experience, volunteer experience, profile diversity, and so on. Academic ability is definitely a requirement, but so are many other attributes. This reflects the multifaceted demands of a real business career. People who obsess with improving an already 700+ GMAT are, almost certainly, taking time and effort away from improving the rest of their admissions profile. Obviously, the published average means that half of accepted applicant’s scores are below that mark. Bottom line: It makes sense to be very concerned with the GMAT until it is within the guidelines of your target program. Then forget about it and spend time on other aspects of your application.